ココに気持ちがあらわれる！/ Their conscience can be seen on this! Their conscience can be seen on this! There was a important announcement for this town was made this week. 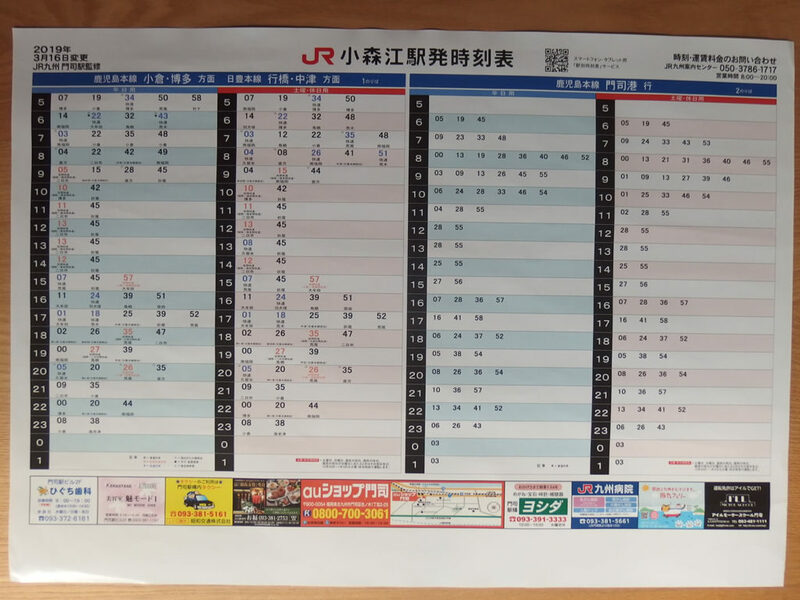 Yes, new timetable of JR trains were opened to public. Unfortunately, there was no increase and we can see further decreasing train schedule. According to the comment of JR management, they will reconsider by hearing users voices. We don’t think the majority of user agree with their change. So we can imagine that management staff of JR Kyushu is as same as Abe Cabinet who say that they stay considerate of feelings of people in Okinawa but completely ignore them. As there is no arrival table at Mojiko was posted, we can see it in time table of Komorie station, which is the nearest one from TOUKA. How about only two train in an hour? As local people can use our car to transport, most affected people by this time table in daytime are “Tourists”. Specially tourists from foreign countries have no other way rather than public transportation. We can imagine their faces with surprising and disappointment. Repeater guests visiting TOUKA are feeing the difference from the last time they visited here. We cannot know the inconvenience easily by comparing current and new time table. It can be obvious when we compare new table and table of three years ago. If they bought BUS PASS, they will know that bus is time consuming and makes them exhausted. And they felt additional disappointment. This is the Hospitality of Kitakyushu as an area. Thank you and you have a nice day, working as a team for tourists’ smiling. 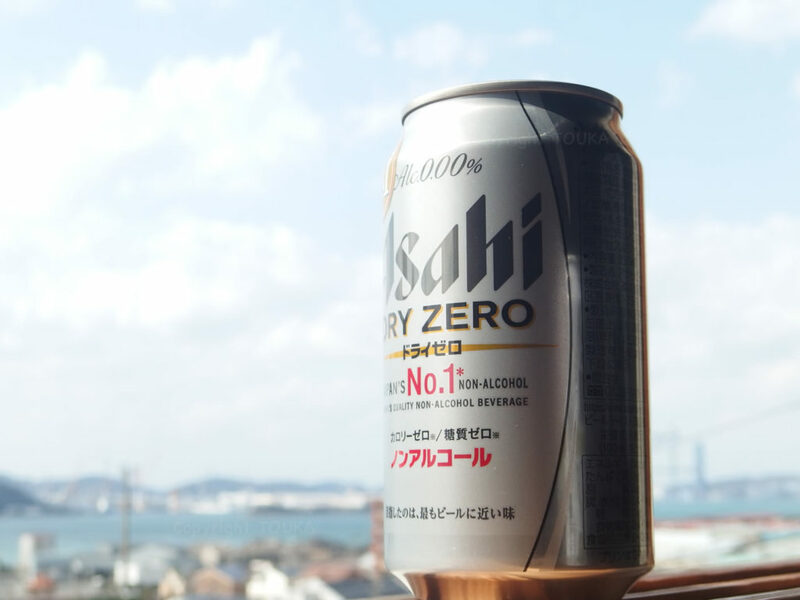 解決する気ある？ ない？/ The Solution is..! There is one typical story in Fukuoka pref. Japan. And we fully agree with it. However, now Fukuoka city is a high-flying local community and think nothing of Kitakyushu city. It is the sole winner all over Kyushu island. On the other hand, new mayor was not selected at the election last month in Kitakyushu and there is no sign of positive evolution. We have seen expensive community PR but population has been flown out and this spring won’t be the exception. No momentum of this city seems to affect various aspect. For example, city’s football team is on a losing streak last several seasons. They got a honorable title of lowest in lowest league last season. Since I came back home town, I have recognized the terror of negative spiral of the city. So I have proposed various strategies toward inbound market for my beloved home town to achieve dramatic recovery. Because we have heard from our guests that people are super kind in Kitakyushu and Kanmon but infrastructure for tourism was not developed yet. I kept quoting the idea from guests’ live voice to the officers, but there was no sign can be seen yet so far. We have no time to see Fukuoka city as a rival. 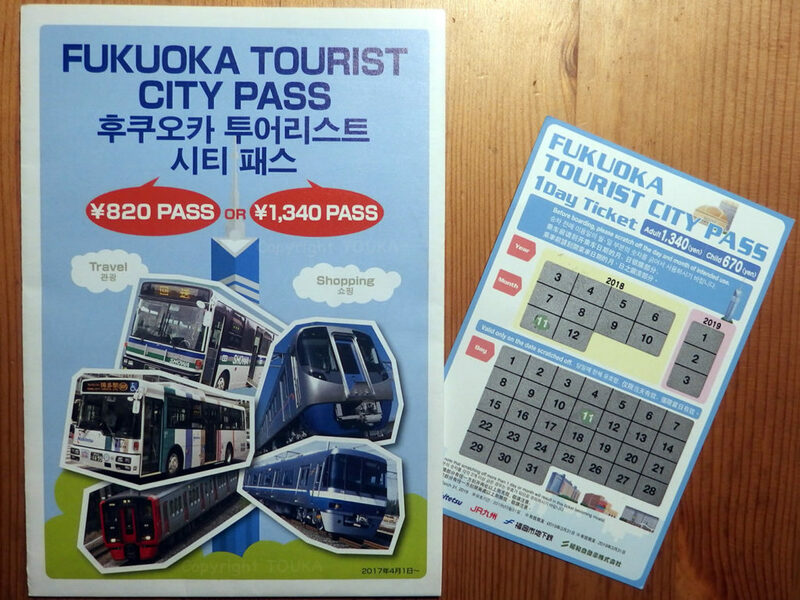 We have been disappointed, every time we see used “FUKUOKA TOURIST CITY PASS” in our trash cans. Why does the PASS exist in Fukuoka but Kitakyushu? According to my previous article, CEO of JR Kyushu understand the value of Kitakyushu very much. 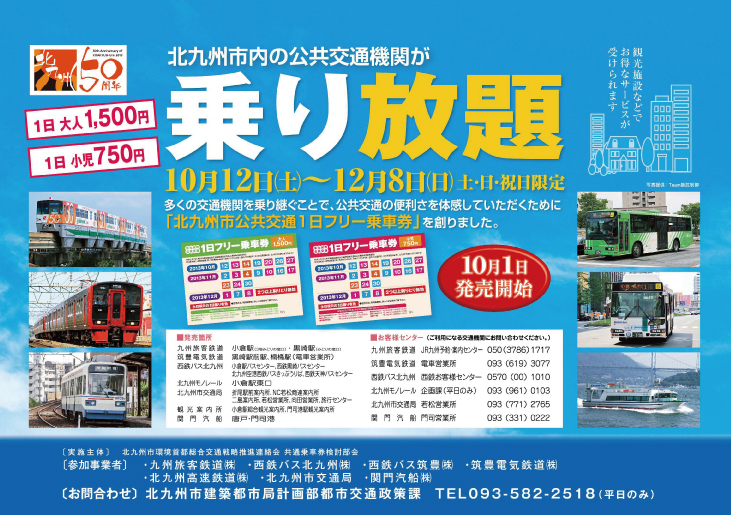 The thing we should do is that City of Kitakyushu become a promoter and coordinator with Nishitetsu Bus, JR Kagoshima-line and City monorail to connect all towns and spots. There is so many hidden spot to be explored by foreign tourists here. What they need is enthusiasm and motivation. Expensive investment is not needed now. Later, if they expand this scheme to Heisei-Chikuho-line, JR Chikuho-line and Hita-Hikosan-line, manifested issues may be solved by this activity. I believe that this just “a piece of paper” can be the magic card of dynamic recovery/solution, including several fundamental issues local governments are facing now. Thank you and you have a nice day without spending money but with using your brain. P.S. Just before releasing the article, I double checked and found there was the trial of the PASS I am proposing now. The trial was done in 2013. 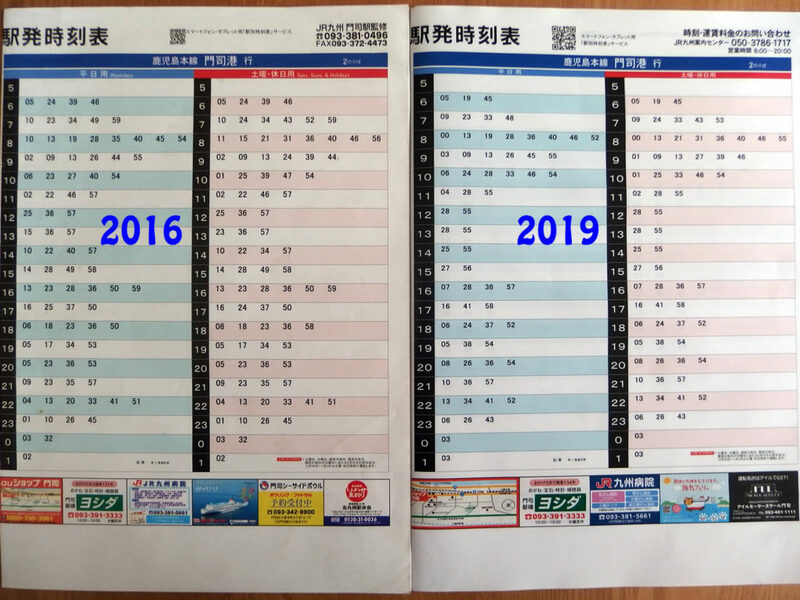 We are very disappointed that there is no good staffs who can understand the fundamental difference between Fukuoka Pass and Kitakyushu Pass.